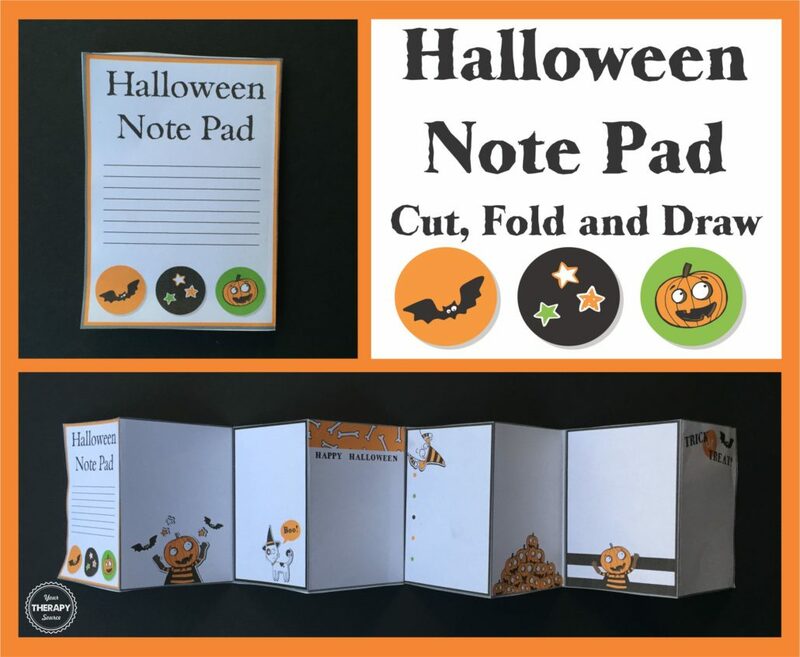 Check out this adorable Halloween Mini Book that you can print, cut and fold. I happen to love small things so this fits the bill. I also happen to love Halloween activities. So fun to create! You can download this free template to practice scissor skills and folding. Send home the mini book for the child to write some small notes or draw some pictures. Just print in grayscale if you want it black and white. It still comes out really cute! DOWNLOAD the Halloween Mini Book and step by step directions for free! Need more Halloween activities? Check out Halloween Visual Perceptual Puzzles, Print and Create Halloween Fine Motor Projects, Multisensory Handwriting Activities for Halloween, My Halloween Handwriting Book, Halloween Brain Breaks and Halloween Poses. Check out Cut and Fold for more scissor and folding skills practice.